Hi everyone, new to the forum. Just want to know if anyone has used the Cleveland junior spec wedges for their kids. I’ve heard US Kids TS3’s and Flynn’s are great, but would like to know more about the Cleveland’s, thanks! I bought one of the junior wedges for my daughter and she struggled with it because of the weight. I ended up selling it to my nephew and he loves it. For my daughter I got the Cleveland ladies wedges (graphite shafts) and she really likes them. So I would say the junior wedges are fine but just check the weight of them and make sure that your child can handle them. Thanks guys for the inputs. Just trying to do some homework for the future, my son is probably too young at the moment. Look at the Cleveland ladies wedges for him. They have the graphite shafts and the overall head weight is lower being a ladies club. Brian Schielke, Marketing Director at Cleveland Golf was quoted. What got me confused was the age and height part from the article. “Three models are available – the RTX-3, CBX, and Smart Sole 3. Each comes in three lofts (52˚, 56˚, and 60˚) and is targeted at three age ranges or heights—eight- and nine-year-olds (or 50″-53″) with the 60˚ club measuring 28.5″; ten- and 11-year-olds (54″-60″) with the 60˚ club measuring 31.5″; and 12- and 13-year-olds (61″-63″) with the 60˚ club measuring 34.5″. "The heads are actually the same weight as those on our standard wedges... After studying different head weights, we found that if you make them too light, you lose momentum into the golf ball and the clubhead becomes less stable. An extreme example would be hitting a real ball with a plastic club—the ball wouldn't go anywhere. The lightweight shafts, grips, and shorter lengths make these easy to swing for Junior golfers, but keeping weight in the head provides the right dynamics at impact." "Three models are available – the RTX-3, CBX, and Smart Sole 3. Each comes in three lofts (52˚, 56˚, and 60˚) and is targeted at three age ranges or heights—eight- and nine-year-olds (or 50″-53″) with the 60˚ club measuring 28.5″; ten- and 11-year-olds (54″-60″) with the 60˚ club measuring 31.5″; and 12- and 13-year-olds (61″-63″) with the 60˚ club measuring 34.5″. 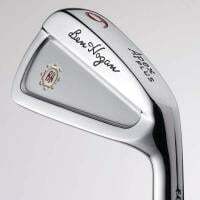 At 8 my son had used US Kids and Flynn Golf wedges. I think around nine he switched to Vokeys. Remembering back the US Kids wedges had some really good bite so if you're looking for a light alternative with good performance maybe try those out. My 8YO at 52" tall plays USKG Tour Series 51" wedges at Gap (52*) and SW (56*). They work fine. We don't have the L (60*) USKG wedge. When we practicing chipping, I make him chip with a 7-iron half the time. We'll probably consider getting non-USKG wedges when he moves up to the Tour Series 54" set and probably just the L wedge. I'll either buy something used or put him in a Hogan Equalizer. Thanks for the info. We’re still going through the UL 48 set right now. I think I’ll just get the US kids TS3 51” next then. Everybody seems to say they’re good!